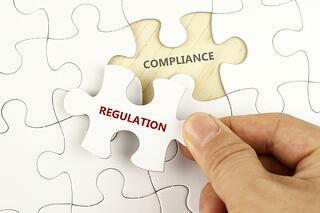 Compliance is a prevalent concern for all businesses due to the ever increasing number of regulations that must be met. One aspect of “compliance” for business entities involves filing informational reports in states where the company is doing business. Most states require registered entities to file a yearly/periodic informational report in order to maintain good standing and remain compliant with the state. It seems simple enough, however, since each state has different requirements, companies that operate in all or many states can find it challenging to understand and keep track of what they have to do. Hopefully, the answers to the frequently asked questions below will help to clarify some of the variations and exceptions in how annual/periodic reports are handled across the country. Do all states call these required informational filings “annual reports”? Is the solicitation I received legitimate? The different names for the informational reports in each state are confusing enough, but add to it the fact that there are companies who purposefully confuse you further. These deceptive firms mail scam notices that look official and offer to provide, for a fee, services that either are not required in the state where the entity is registered or that you can easily handle yourself at no cost. If you receive a notice like this and are not sure if it is legitimate, visit the Misleading Annual Report and Compliance Solicitations page of our website to learn about the latest deceptive solicitations and view samples of them. Do all states require an annual/periodic report filing? In Ohio, foreign and domestic limited liability partnerships are required to file biennially, while a foreign professional corporation is not required to file and a domestic corporation is required to file. Nonprofits are required to file every five years. 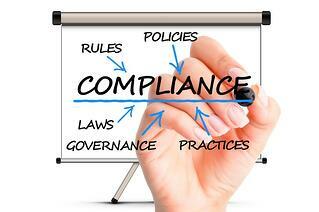 Corporations and limited liability companies are not required to file a periodic report. Arizona, Missouri, New Mexico and South Carolina all require corporations to file periodically, but limited liability companies are not required to file at all. It is important to thoroughly review each state’s statutory requirement based on the type of entity and whether it was domestically formed or foreign qualified in the specific state. What information is required when I file an informational report? Where is the entity’s principal place of business? What is the name and address of at least one director for this entity? What is the name of someone who is authorized to complete and/or file this report on behalf of the entity? What is the nature of company’s business? For corporations, California requires the names of the CEO (or equivalent), Secretary (or equivalent) and CFO (or equivalent) to be listed on the annual report. Oregon corporations must list a President and Secretary on the annual report. New York corporations must list the CEO on the biennial report. When are my company’s informational reports due? Individual state statues govern and regulate the varying due dates for these informational reports within each state. These due dates vary widely from state to state and can also be based on the type of entity. States calculate these due dates differently. Some commonly use the anniversary date of the entity’s formation or qualification or the last day of the entity’s anniversary month. Some states, such as Minnesota, have all Annual Renewal Reports due on the same day (12/31) each year for all entity types (corporations, limited liability companies, etc.). Some states use other criteria, such as the entity’s fiscal year end. What other information may be required when filing my annual/periodic report? Some states require the listing of specific financial data in conjunction with the informational report filing. This additional information is commonly required for for-profit corporations and varies from state to state. Do all states require our financial information to be listed? What basic financial information is requested on these annual reports? For what period of time is the financial information required? Is there a change in cost when filing the report based on the financial information I supply? Delaware - The state’s website provides details on how the franchise tax due is calculated. Can a change or amendment be filed if the financial information provided on the annual report is inaccurate? Yes. Each state customarily allows an amendment filing to change the financial information that is on record with the respective Secretary of State. These amendment forms can be found on each state’s website. For example, Illinois requires the financial information on the current report to match what is on record with the Secretary of State. If they are not a match, an amendment (BCA 14.30 form) must be included with the annual report submission to avoid rejection. If you are unsure of what financial information was listed on the last filed annual report, you can order a copy of the last report from the Secretary of State for an additional fee. Where can I find the annual report forms? The annual report forms can usually be found online on the Secretary of State websites. There are some states that require electronic filing of the annual reports via the states website. Most times, these states will require payment by credit card, state account or ACH transfer. Are the annual reports and tax returns always separate? Compliance is an ever growing and continually changing concern for all companies, from the large conglomerate to the small family owned corporation. If your company handles all of its annual/periodic report filings, it is important to fully understand the requirements in each state where you are registered to ensure ongoing good standing and compliance. Seeking the assistance of a competent attorney, tax consultant or service company can make the process a lot easier and help to ensure your reports are being handled properly.